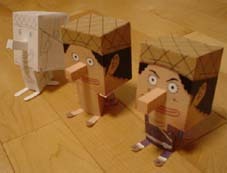 Yes... paper dolls.I found a Japanese site that had some One Piece paper doll crafts. 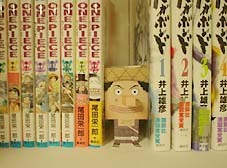 You can make Luffy, Sanji, or Usopp (!!) paper dolls simply by printing out a pattern and folding it and stuff. 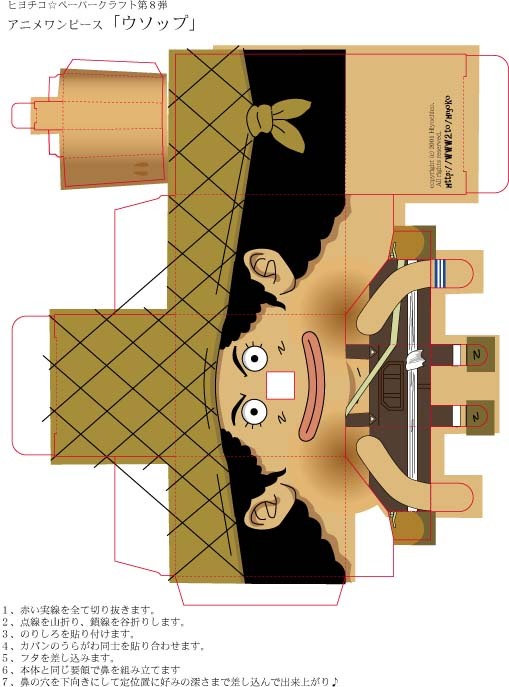 There are some pictures of the Usopp doll here, including the printable image so you can make your own paper doll! 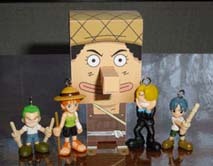 These images come from this Japanese site, which features the Luffy and Sanji dolls, and other paper crafts as well. ...as well as the average pyramid and space shuttle. 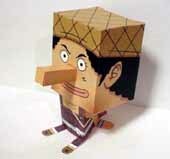 And if that isn't enough for you, he's also strong enough to withstand the strength of several manga volumes! So, what are you waiting for?! Go ahead and make him, already!